From New Jersey to London to Charleston, Nathalie Dupree has been all over, but for the past 13 years she has called the Holy City home. For the first installment in a new series for The Daily Meal, we chat with Charleston chef and culinary influencer, Nathalie Dupree. 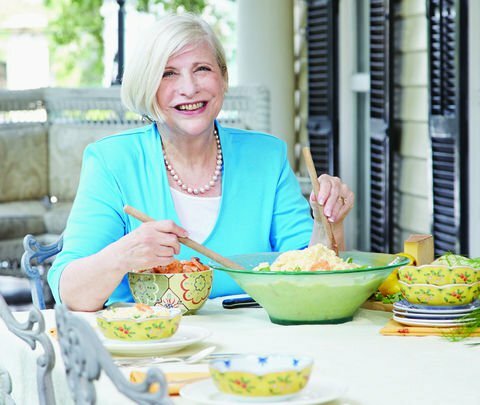 Cooking expert Nathalie Dupree talks to Epicurious about her new book on the beloved Southern biscuit. Search page for The Post and Courier for a list of all of Nathalie's articles and recipe videos. When she wants to chat about throwing a party, we take notes. If you have the honor to be at one of her parties, you understand. In this week's edition of The New American Kitchen, we explore southern food through the eyes of trailblazer and Who's Who of Food and Beverage inductee, Nathalie Dupree. Everyone has an old standby they go to for dinner, when that trip to the grocery store hasn’t happened or the after work traffic jams seemed endless. COPYRIGHT © 2016 NATHALIE DUPREE. ALL RIGHTS RESERVED.